Renderings via the Hamilton Co. 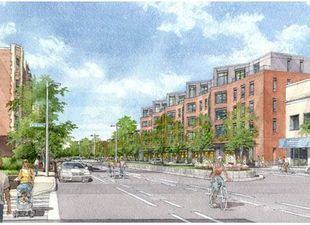 Developer the Hamilton Co. has started construction on 40 units of what it describes as “moderately priced ‘workforce’ housing” at 79-83 Gardner Street in Allston. While there are no income requirements that potential tenants will have to meet—like withthe under-construction 101 Beverly Street—the rents at the Gardner Street project will be lower than what one might find in newer apartments in Boston. A lot lower, in some cases: Hamilton says that the average rents for the 40 units—39 of them two-bedrooms and one one-bedroom—will average $2,700 to $2,900 a month, or about 30 percent to 40 percent less than for similar properties in Back Bay or the Seaport District. 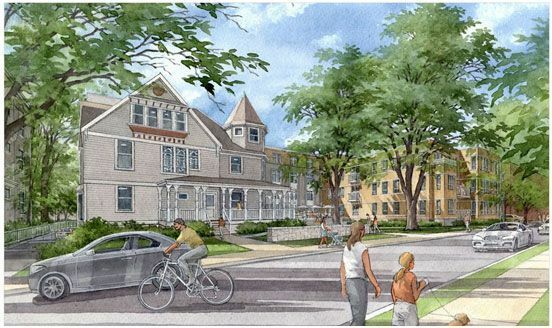 Interestingly, the Gardner Street project involves preserving one of the last remaining freestanding Victorian houses in Allston’s Packard’s Crossing area. The house will serve as a lobby for the larger complex, which includes a new four-story building; and it will also contain the lone one-bedroom apartment as well as a pair of two-bedrooms.